Dubai, UAE, March 26, 2018: Lucky for us after the high demand for a modern and innovative solutions for our customers problems, MAKE UP FOREVER is finally launching 3 new products that we’re all waiting for. Allowing the users to play with color correction, build their tailor-made coverage, and add radiance to their complexion. This year, Ultra HD range welcomes 3 new, advanced, contemporary products: ULTRA HD PERFECTOR, ULTRA HD SOFT LIGHT, and ULTRA HD UNDERPAINTING. The products give an invisible correction, extremely blendable texture, and second skin correction. 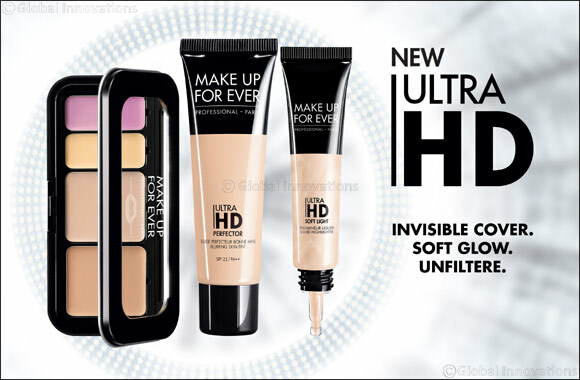 Ultra HD 2018 new products are the perfect tools for an ultimate healthy and luminous finish. They are appropriate for every occasion and every look. You can Play with color correction, build your tailor-made coverage, and add radiance to your complexion: FREE YOUR TRUE PERSONALITY.